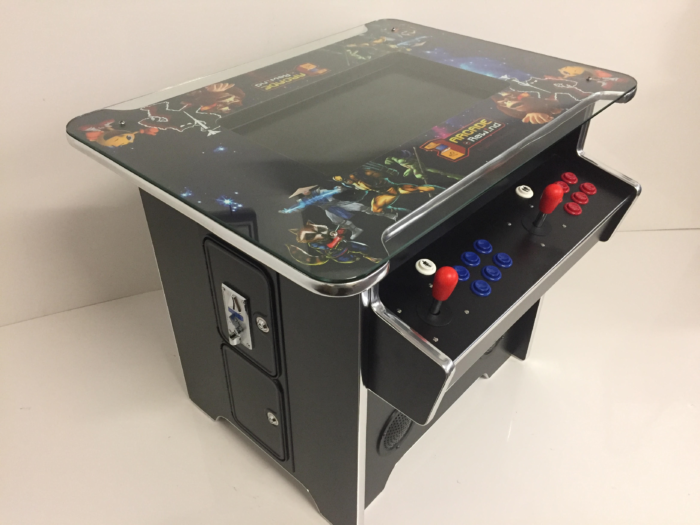 So what is an “Arcade Table”, “Cocktail Arcade Machine” or “Tabletop Arcade Machine” as they are sometimes known…. 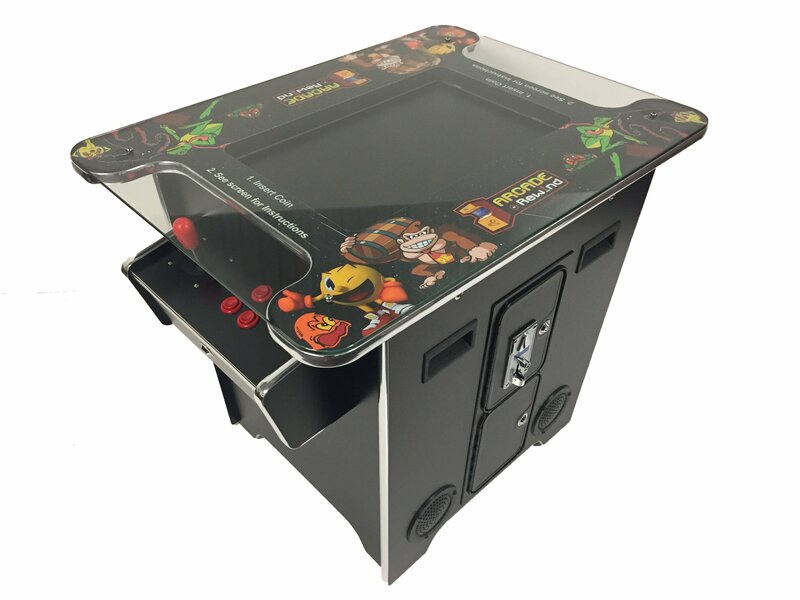 These were Arcade Machines that were low in height had a glass top and usually a rectangular shape, this design often lead to people placing drinks on the top whilst playing. 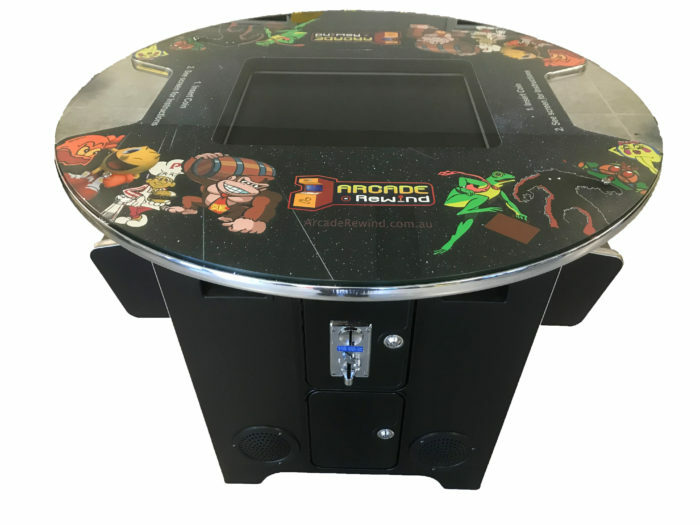 This in turn created the name Arcade Table, Cocktail Arcade Machine, or Tabletop Arcade Machine. In the early years of Arcade games they had not yet figured out dual player gaming, so two player games were played with alternate goes. The Cocktail Arcade Machines screen flipped 180 degrees for each players turn, so two players could “Battle against each other” and also heckle their friend or foe! 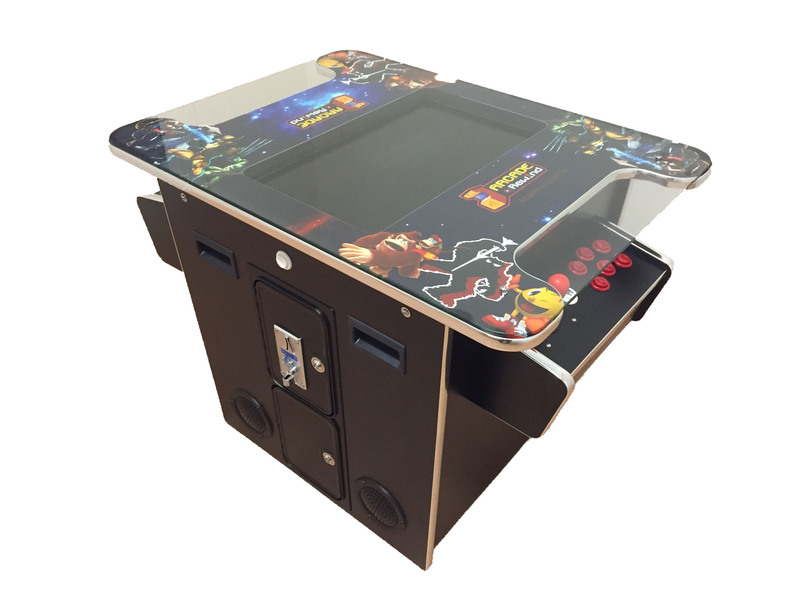 So now we move into the now…..
We all love the idea of owNing an arcade TABLE, but size and space is always a limiting factor. 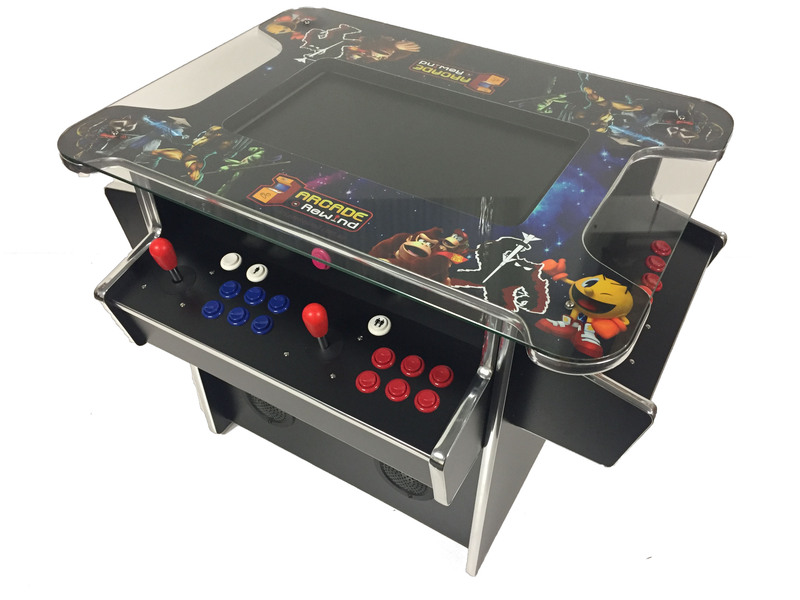 Well not any more…..
You can have a compact stylish design Cocktail arcade table with anywhere from 60 games in 1 up to our top of the range 2475 in 1! Arcade Rewind’s Cocktail Tabletop Arcade Machines offer a timeless design. Using up very little floor space(coffee table replacement size) in your home, games room, garage or even the infamous Mancave! Yes you too can relive arcade history! 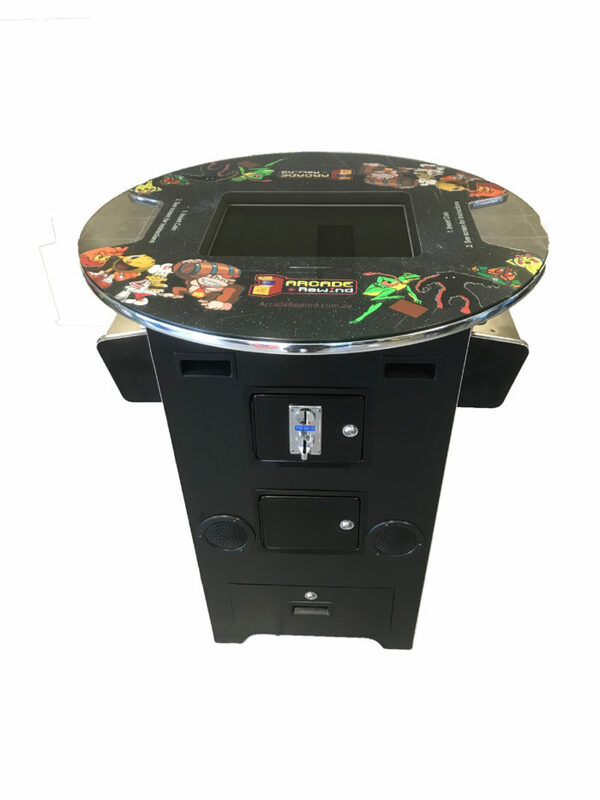 There is the good old Head to Head 2 player arcade table, but now instead of just 1 game on 1 Machine you can now Arcade Rewind back in time, having 60 of the best Arcade Games in 1 Machine! Maybe you remember when they got smarter and figured out 2 players at the same time! Upright Arcade Machines added an extra joystick and we could now play together! Taking on each other or the game! Upright Arcade Machines boomed but we’ve harnessed the design theory into our single sided Cocktail Tabletop Arcade Machine. More game options, simultaneous play in side by side action. Oh and there is 2019 games to Arcade Rewind you back to the day in this 1 machine! 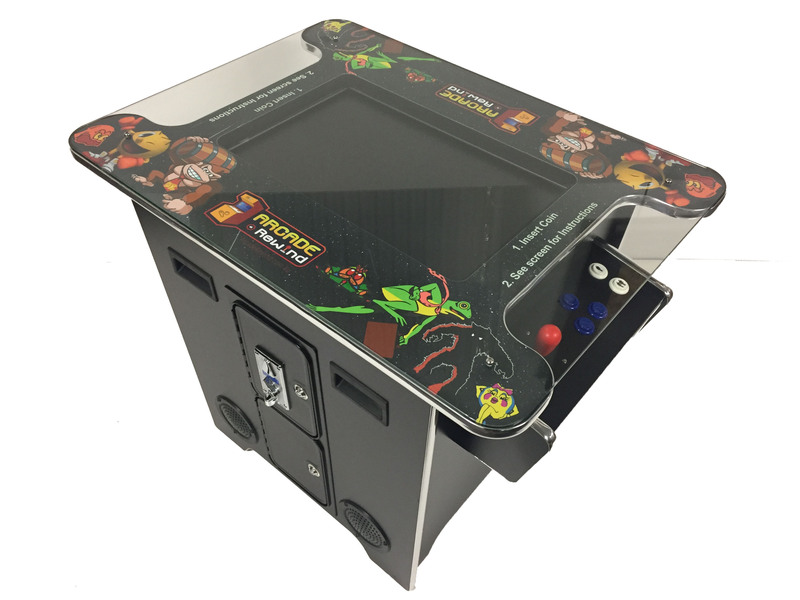 However some games HAVE to be played head to head and with the Arcade Rewind’s range of 3 sided Cocktail Tabletop Arcade Machines you can! 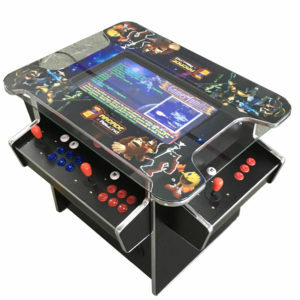 So the best of both worlds, side by side dual simultaneous play and head to head in 1 arcade table, all this with 1505 games in 1!